Assembly Member Mary Hayashi (D-Hayward), vice chair of the Asian Pacific Islander Legislative Caucus, announced that Dr. Leroy Morishita will receive the Excellence in Higher Education Award on May 14, 2012 at the State Capitol. The recognition is part of the California State Assemblys annual Asian Pacific Islander American Heritage Month awards ceremony. Dr. Morishita has been an outstanding leader for education, and a dedicated advocate for Asian and Pacific Islander communities, stated Assembly Member Hayashi. He serves as a tremendous inspiration for young people. Dr. Leroy Morishita is the fifth president of California State University, East Bay. He was appointed to the position in January 2012, after serving as interim president for six months. Previously, he was executive vice president for administration and finance, as well as chief financial officer at San Francisco State University. The Asian Pacific Islander Legislative Caucus hosts the annual Asian Pacific Islander Heritage Awards ceremony, which is now in its seventh year. The ceremony features awards to recognize Asian Pacific Islander American trailblazers who have achieved excellence in the fields of business, civil rights, labor, law, new media, education and public service. 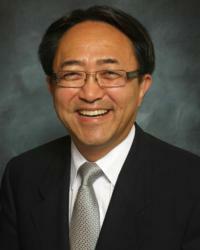 Assembly Member Hayashi is the Chair of the Business, Professions, and Consumer Protection Committee and serves the 18th Assembly District, which includes San Leandro, Hayward, Dublin, most of Castro Valley and Pleasanton, and a portion of Oakland, as well as the unincorporated areas of Ashland, Cherryland, San Lorenzo and Sunol.